My Latest Ebook: “Grass, Trees, Sunshine: The Story of Jihad Ramadan” | Come believe with me. I published another ebook today. This one is the life story of my friend Jihad Ramadan, a Palestinian living in Deheisheh Camp in Bethlehem, Palestinian Territories. His story is a snapshot of many Palestinian lives. My hope is that the book will raise awareness and love for the Palestinian people and Jihad too. The book is a quick read at 28 pages. Also, 50% of the profit goes directly to Jihad who dreams of building a home soon. 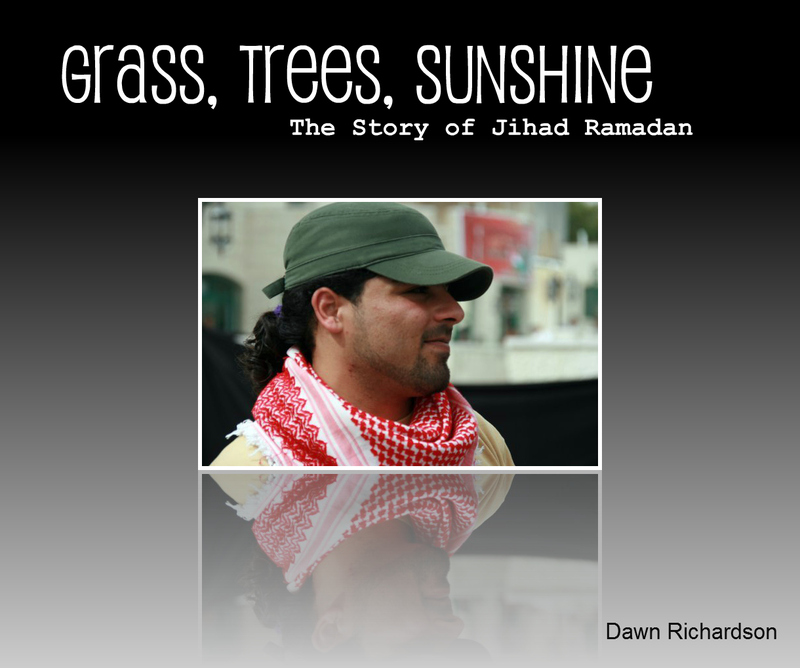 “Grass, Trees, Sunshine: The Story of Jihad Ramadan” is for sale on Amazon.com for $2.99.